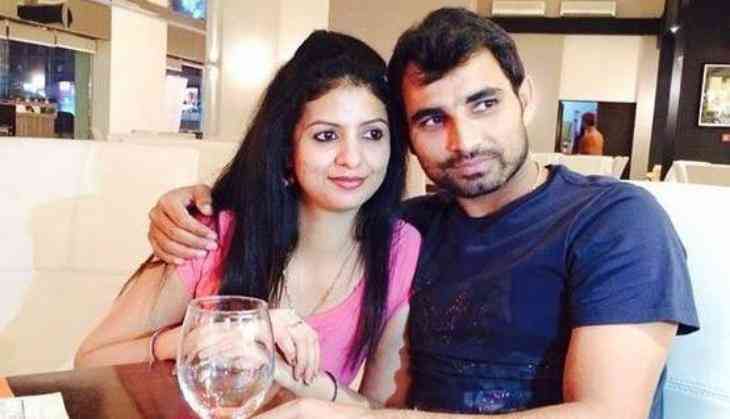 Mohammed Shami’s extra-marital affairs case has become the hot topic of the country. Everyone wants to know about the reason behind this high profile country. As this is for the first time that an Indian cricketer has fallen in the controversy because of his wife. In the recent development of the case, Shami has got the BCCI’s contract after he got the clean chit from the anti-corruption unit of the Indian cricket board. Still, there are many questions that remain unsolved in the mind of the people. Many people even don’t know about the reason behind this controversy. Today, we are taking you back in a sequential manner when this topic came to light and Shami’s wife Hasin Jahan has kept all the proofs that created trouble for the Indian pacer. 1. On 7 March, Mohammed Shami’s wife Hasin Jahan posted the screenshots of Shami ’s alleged conversation chats with a Woman, named Alisbah. She has made several the allegations on her husband that he is having an extra-marital affair and also abused her. Hasin also said that Shami’s family tortured her and even tried to kill her. She also said that Shami has started beating her after returning from South Africa. Hasin Jahan also claimed that Shami has taken the money from the girl in Dubai’s hotel and allegedly said that he had cheated the team India. Due to this Shami’s name was not mentioned in contract list released by the BCCI. 2. On 8 March, after filing an FIR against Shami, Hasin also made her phone conversation with Shami publicly. In the conversation, both were discussing the girl named Alisbah and Hasin was saying to Shami that he has cheated her. Shami said that he met with her because of taking the money which was sent by Mohammed Bhai through her. 3. On 13 March, the Supreme Court of India appointed the Committee of Administrators to investigate the matter properly. The committee wanted to know whether Shami was involved in doing the corruption in cricket. 4. On 17 March, Hasin was met with ACU officials in Kolkata to listen to her. ACU ran the names of Alishba and Mohammad Bhai through their databases and found nothing incriminating in their past. 5. After all the this Mohammed Shami extra-marital row, the CoA announced that they are handling the central contract to him.